Neural stem cells (NSCs) are capable of self-renewal and are multipotent. Transplantation of NSCs may represent a promising approach for treating neurodegenerative disorders associated with cognitive decline, such as Alzheimer disease (AD) characterized by extensive loss of neurons. In this study, we investigated the effect of NSC transplantation on cognitive function in the amyloid precursor protein/presenilin-1 (APP/PS1) transgenic mouse, an AD mouse model with age-dependent cognitive deficits. We found that NSCs bilaterally transplanted into hippocampal regions improved spatial learning and memory function in these mice, but did not alter Aβ pathology. Immunohistochemical analyses determined that NSCs proliferated, migrated, and differentiated into three neuronal cell types. 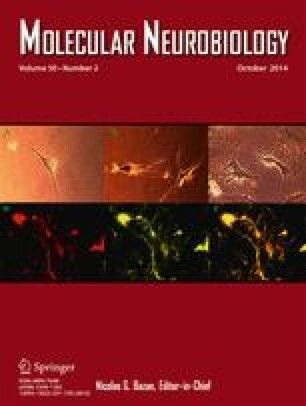 The improvement in cognitive function was correlated with enhanced long-term potentiation (LTP) and an increase in the neuron expression of proteins related to cognitive function: N-methyl-d-aspartate (NMDA) 2B unit, synaptophysin (SYP), protein kinase C ζ subtypes (PKCζ), tyrosine receptor kinase B (TrkB), and brain-derived neurotrophic factor (BDNF). Taken together, our data indicated that injected NSCs can rescue cognitive deficits in APP/PS1 transgenic mice by replacing neuronal cell types expressing multiple cognition-related proteins that enhance LTP. This research was supported by grants from National Natural Science Foundation of China (81171297; 81200934).